I have not written much but that doesn’t mean it has been a quiet time. Along the way there have been many trees re-potted and styled. I have to document some of that journey for the site soon. This week I am on a very specific journey. I am preparing for a demonstration for SBBK in San Mateo, CA. They requested someone demonstrate the creation of the the Phoenix graft or Tanuki. This is not a demo we see much here. 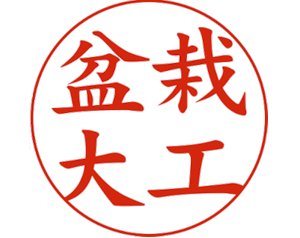 I completed all the researching on past and present philosophy of its creation and whether your are of the school that they are not true bonsai or not some can be created very convincingly. I wrote on article on the philosophy in the most recent release of GSBF Golden Statements, Nebari Net, that takes on the controversy. Marking a clear path to follow for the carving tools. 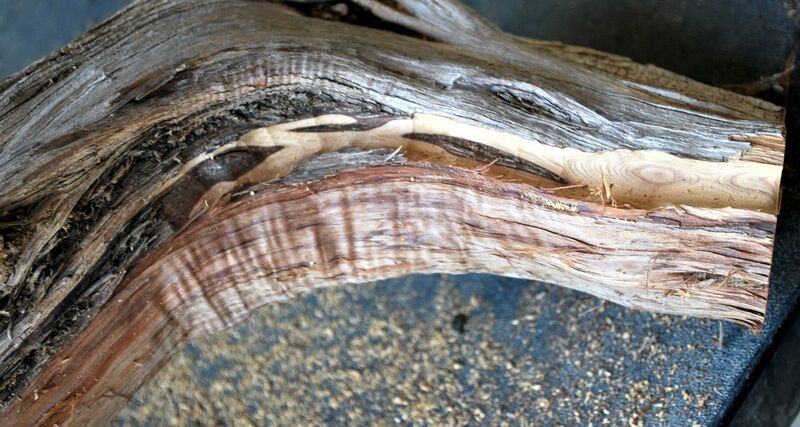 This image shows the termination at the top of the wood. Marking the entry point of the tree a the base of the wood. This area must be channeled wider to accommodate the trunk of the whip that will be used. Marking the movement mid-way in on the wood. Here the tree will disappear behind the wood only to reemerge at the top most portion. 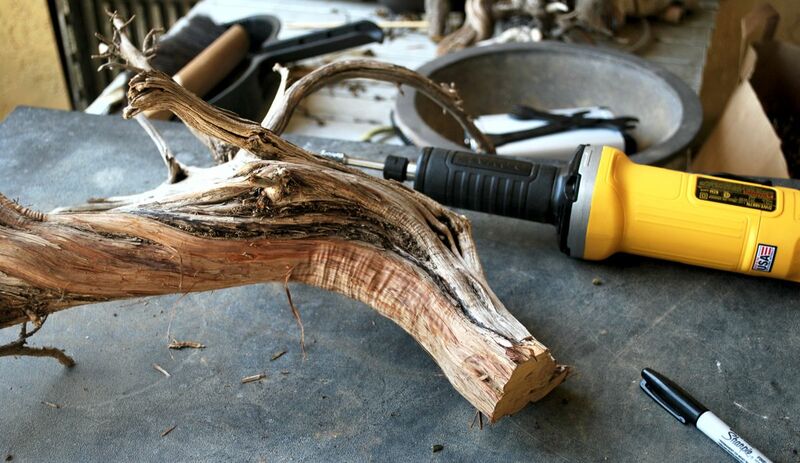 Carving begins with a deep channel that the tree will sit inside of; make sure the channel is deep and smooth. 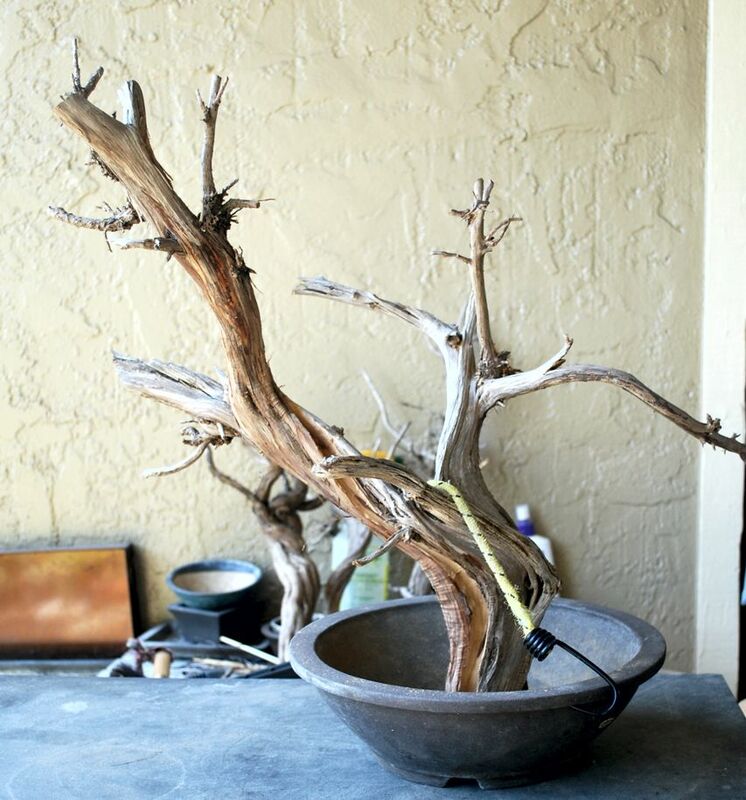 Deadwood is staged in the pot after channel is cut. 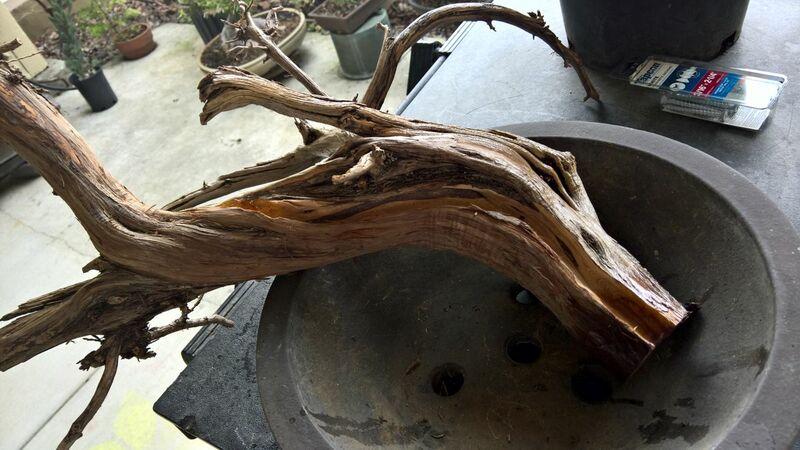 This deadwood will be placed on a small piece of wood nailed to the bottom to keep it flat to the pot bottom. The bottom structure will then be tied down inside the pot. 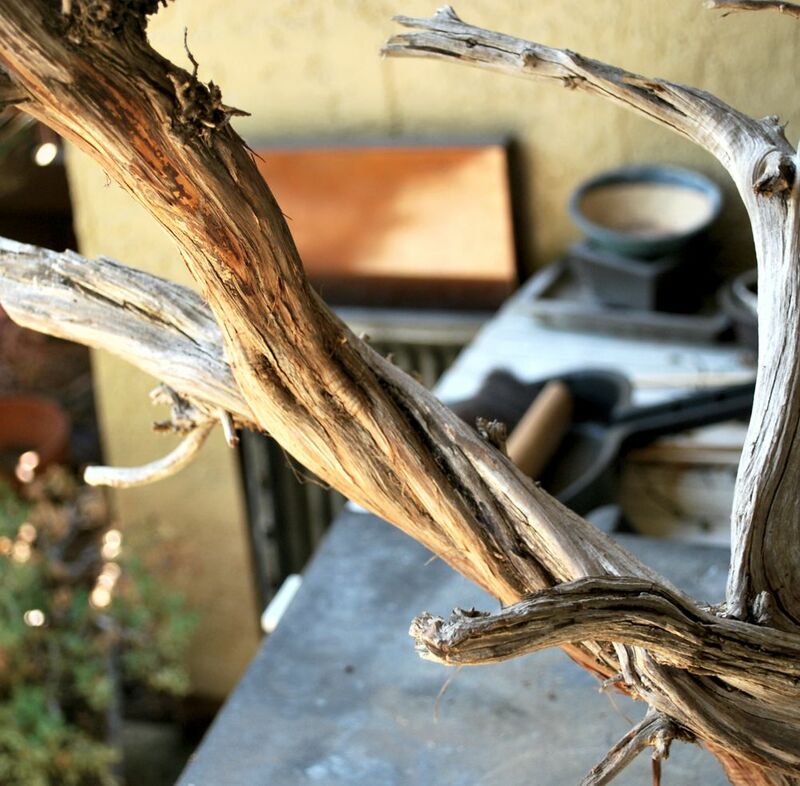 I have enjoyed working and styling many of these phoenix graft trees over the years. 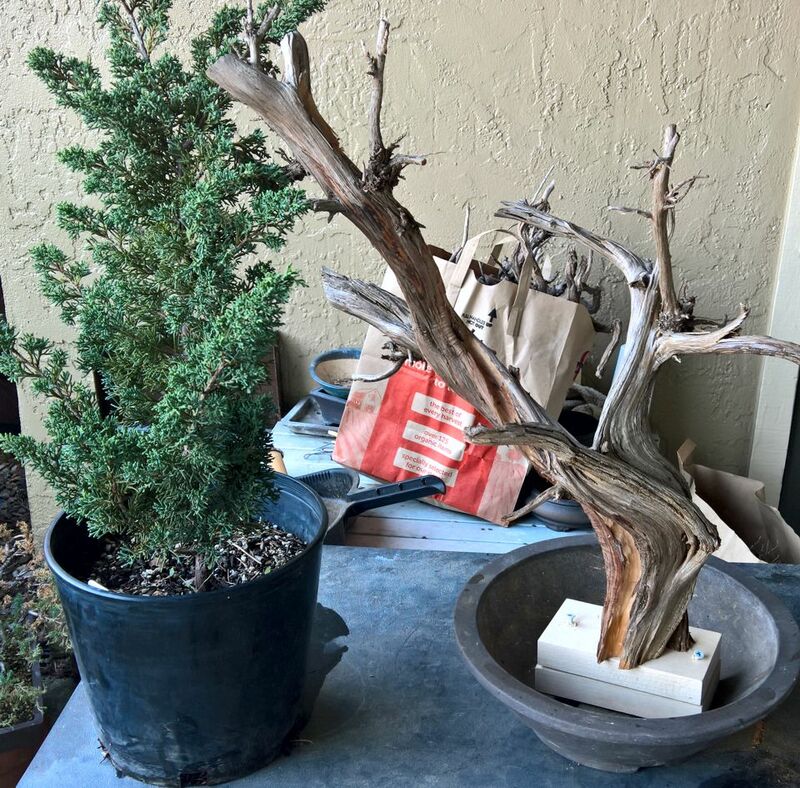 Some of the most convincing trees start with a trunk with great twisting movement, such as a California Juniper stump, and is designed where you can see the live material originating in the front of the tree. It can then disappear and reappear along the movement of the the tree. Finding the wood is the first effort. Mapping out the path with a sharpie following a natural waterline of the material is second. Using good tools to create a big enough channel for the living material to sit inside of it is most important. A shallow channel or too narrow and the living material will not be as integrated into the deadwood and look nailed-on. Today was time to use PC Petrifier to harden the deadwood that is wanted in the final design and at the base. Today We will drill wood blocks to the base for the deadwood so that it will stand higher in the pot. Those blocks will be tied into the pot with copper wire just before the tree is run in the channel. Blocks are drilled into the bottom of the deadwood to complete the standing trunk at the height desired for the design. Tanuki material is a blue shimpaku whip. This is a view of the completed staging for the demo. Deadwood is screwed into the block to keep it in place. 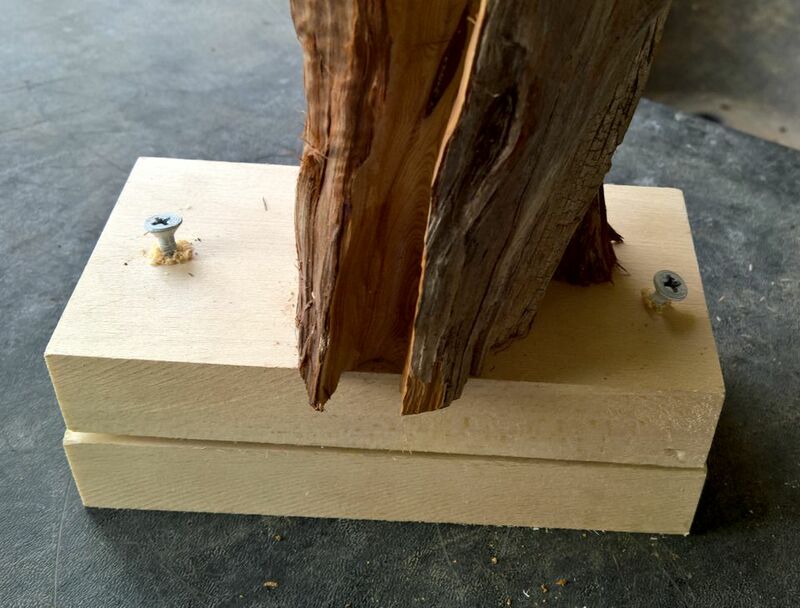 I am using two wood blocked screwed together to provide the correct height of the piece. The screw heads will be used to help anchor the block to the pot. Close up of the wood blocks and their placement in the pot. I will use copper wire from under the pot to secure the blocks. 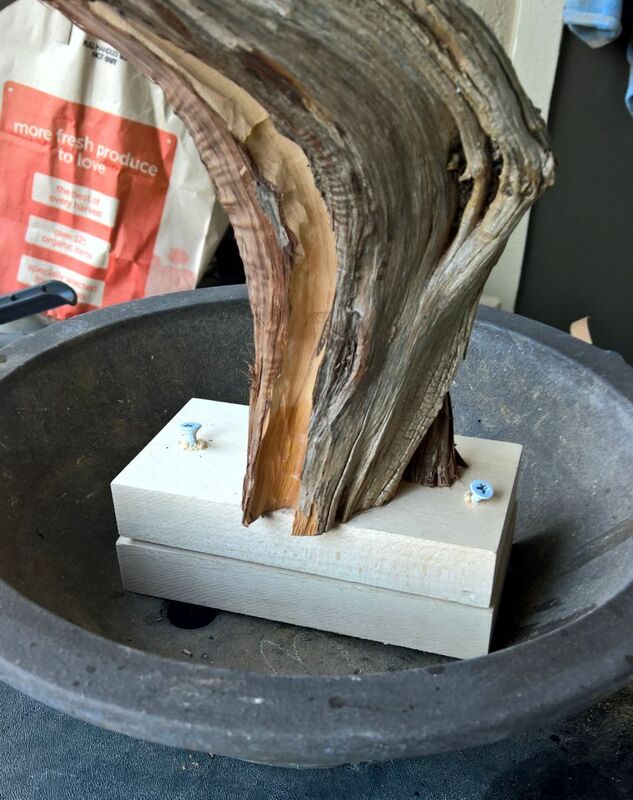 The stump has been treated with PC Petrifier to preserve the deadwood in the final design. Tools of the trade are often a Dremel. 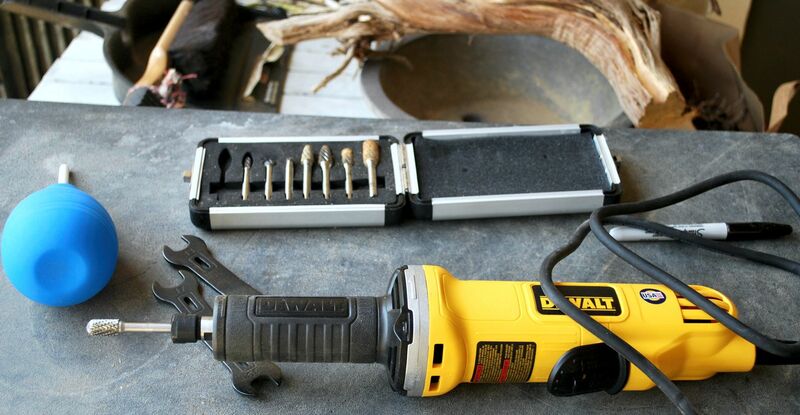 In this case the job is made much more easy by using the high powered Dewalt grinder with various sized grinder bit. My thanks to David M for letting me use his tools. I would have take hours to do the same job with the standard dremel tool set.